Will Low Oxygen Saturation Prevent You From Recovering From Heart Failure? Do you really understand what low oxygen saturation means for you? Understand that when low oxygen levels become an issue for you, it inevitably leads to a weakened heart muscle because low blood oxygen levels deprive your muscles of oxygen and weaken them. Your heart is your most important muscle. This is one reason that the world is suffering an epidemic of Heart Failure today. It can be difficult to identify and treat Low Oxygen Level (low blood oxygen saturation), but it’s the only way to prevent the oxygen starvation that will eventually weaken your heart. The basic element of all life is Oxygen. Without oxygen life stops. Is it hard to believe that most people are completely unaware and free of any significant concern while they experience extremely low oxygen levels? How can you possibly be unaware of a life threatening condition? When you feel short-of-breath, you are sensing the carbon-dioxide in your body. Oxygen does not effect you the same way. It seems like low oxygen should be accompanied by breathing problems, but it often isn’t until disastrous deterioration has occurred. Carbon dioxide is the culprit causing your anxiety. Pain, fatigue, short term memory loss, muscle loss and worsening eye sight are all caused by lack of oxygen. All of these symptoms may be attributed to old age while your vital organs deteriorate due to low blood oxygen saturation. Your doctor might even give you a “clean bill of health”. Does your doctor even test your oxygen level? Over time, you may not even notice the weakening of your heart muscle. Feeling winded at the top of a flight of stairs? Hard to catch your breath when you jump back in bed after a late night pee? Do you have a frequent moist cough? Acute Heart Failure doesn’t happen all of a sudden but it can be difficult to recognize early symptoms. Once you’ve suffered a bout of acute heart failure, you know your heart is weakened. The fluid in your lungs that make it so hard to breathe got there because your heart is too tired to do its job. You can’t breathe when you are drowning in your own fluid. Taking drugs to make you pee helps you breathe but it does not strengthen your heart muscle. If you are depending on pharmaceutical fluid balance, you should value oxygen therapy. You likely won’t be overly concerned when you first begin to experience symptoms. It’s a really good idea to keep self-checking your blood oxygen with your own personal oximeter (oxygen measuring device). You can’t avoid harm if you don’t recognize it. Just don’t expect this health draining issue to be easy to spot. It’s only easy to see low oxygen levels when you’ve ignored them too long. When you use an oximeter to check your blood oxygen level, be aware that the information the oximeter gives you is just one brief window of time AND it may or may not be correct. The oximeter is a wonderful diagnostic tool. It just has it’s limitations. Having said that, there are steps you can take to ensure that you are not over looking low oxygen levels. Check frequently, waiting for a steady consistent reading. Walk up a flight of stairs and check your oximetry readings before, during and after exerting yourself. Keep the monitor probe on your finger for several minutes after you feel completely recovered and without any distress. A struggling heart will experience significant low oxygen levels after very little excursion. If you have pitting edema at your ankles it’s easy to see that your heart is struggling. If you tend to store fluid in your belly, where it can hide itself a little better, it might be a little less obvious what’s causing your symptoms. Fluid in your belly and fluid at your ankles make sleeping a potentially harmful part of your life. Lying down allows the retained and accumulated fluid to creep up into your lungs. A struggling heart will experience low oxygen level at 3am when you get up to pee. Your doctor may not see low oxygen levels when you are sitting in his/her office, even though you experience dangerous low oxygen levels every time you exert yourself and routinely in the wee hours of the morning. Al the time you spend well oxygenated can’t save you when you are suffering oxygen starvation. The oximeter may not tell on you if you don’t use it when you are experiencing low oxygen levels, but the damage low blood oxygen causes is unmistakable. The devastating consequences of low oxygen are not avoided without addressing the problem. Sudden cardiac arrest can occur when extremely low blood oxygen levels stimulate your vagus nerve. If you could feel low oxygen level it would be easier to avoid danger, but you can’t. All you can do is err on the side of caution. Not all doctors and nurses will be alarmed by oxygen levels that are low enough to be dangerous. Their lack of experience with the damage caused by chronic low oxygen levels causes them to minimize the significance of low oximetry readings. 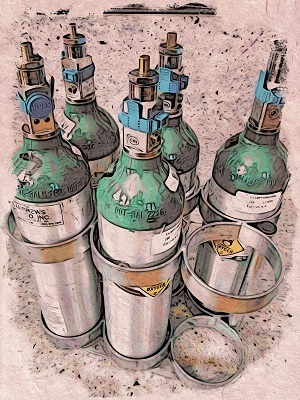 Perhaps supplemental oxygen in a home setting feels like over-kill to many health care professionals. Remember that oxygen can only do its job in your body if the pressure of oxygen is high enough to get where it’s going. 92% blood oxygen level is what is required to achieve enough pressure to send oxygen from your lungs, to your blood, to your cells, tissues, organs and organ systems. Your insurance wants your oxygen level to drop to 88% before they are willing to pay for home-oxygen. 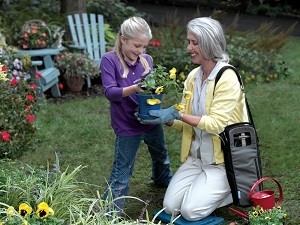 Ask your doctor to let you walk before checking you with an oximeter during medical appointments. You need your health care team to know what your normal daily need for oxygen is. Your oximetry reading during a short period of time when you are resting does not indicate how well you manage when you are up and moving around. The number “88” really doesn’t mean anything, as far as your health is concerned. It’s just a number that insurance companies require in order to pay for supplemental home oxygen. Your oxygen level should be well above 92% at all times. If you live in the US you may have a difficult time getting a prescription for home oxygen use. Your health is more important than insurance company profit. It’s my hope that we will soon have single payer health care so we can take an honest look at how cost effective supplemental home oxygen really is. What is your situation? Is it difficult to access oxygen for home therapy use? In order to best advocate for yourself, get your own personal and portable oximeter. They don’t cost a lot and they can allow you to keep an eye on an important indicator of your need to pay more attention to your health. With your own oximeter you know where your blood oxygen level is during your most challenging times. Knowing about your low blood oxygen levels and doing something about it are two different things. Start by measuring your oxygen levels at least daily and recording them in your health log. Empower yourself to keep track of your health.